Knowing where your strengths and weaknesses lie is an essential part of running your cafe business. The following article is based on the chapter "attributes of a successful cafe owner" from "The Complete Guide to Buying a Cafe" by cafe expert Craig Reid. Knowing where your strengths and weaknesses lie is an essential part of running your business, since those facets determine your style of management. If you are thinking about buying a cafe, there are a number of crucial questions you should ask yourself which can help you to identify the role which would suit you best. A significant part of life in a café revolves around dealing with customers. No matter how good your food is, if you can’t make people feel welcome, they won't continue to bring you their custom. Equally, if you are unable to cope with the pressures of facing difficult customers, you will be unable to maintain a pleasant atmosphere in the café and your business is likely to suffer. However, if this aspect worries you, as the owner, you can simply choose a more suitable role; try making the coffee, rather than serving, for example. The important thing is to recruit staff who have the attributes you lack. Are you well organised and numerate? Good time-management skills are vital, so you can ensure suppliers and staff are paid in a timely and accurate fashion and appropriate supplies are ordered when necessary, as well as other crucial aspects of a business' day-to-day running, such as completion of accounts and advertising. Obviously, to cope with complicated financial issues, your numeracy skills must be of a high standard. If you don’t have sufficient capability, there is plenty of expert assistance available, as long as you recognise the necessity to ask for it. Whatever level of involvement in the financial dealings of the café you feel able to undertake, you will need a reasonable amount of competency at using IT. Software packages will make life easier for you, if you master their use, and the higher the percentage of the accounts completed by you, the less you will need to rely on your accountant. This will save you money. Additionally, much of your communication can be carried out more efficiently using the internet, via e-mail and through your website and social media, providing a low-cost additional form of advertising. Are you physically and mentally strong? The food industry is a hard taskmaster. You can be certain to spend long hours performing physically demanding activities such as serving customers, cleaning work spaces and organising heavy containers of supplies. Furthermore, you will need to withstand a considerable amount of stress, most of which relates directly to running a business. In busy times, you will have the stress of providing a good service in a limited time, while quieter periods can bring the stress of lower earnings. Which role should you take? By answering these questions honestly, and also by appraising your general skills and preferences, you will gain insight which will equip you to decide what your optimal role would be within the business. You must assess how much trust you could place in others, for the purpose of delegating, and weigh up the pros and cons of each position. When all is said and done, it is likely that the role you adopt will be the one for which you are most suited. 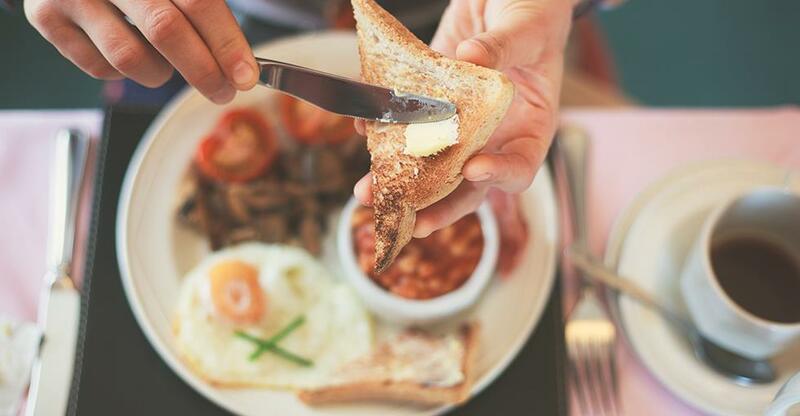 Craig Reid is one of Australia’s top business improvement consultants and is a former owner of one of Sydney’s most successful breakfast cafes. His no-nonsense, practical advice has helped businesses big and small to improve without costing them an arm and a leg - critical in today’s tough economic times.